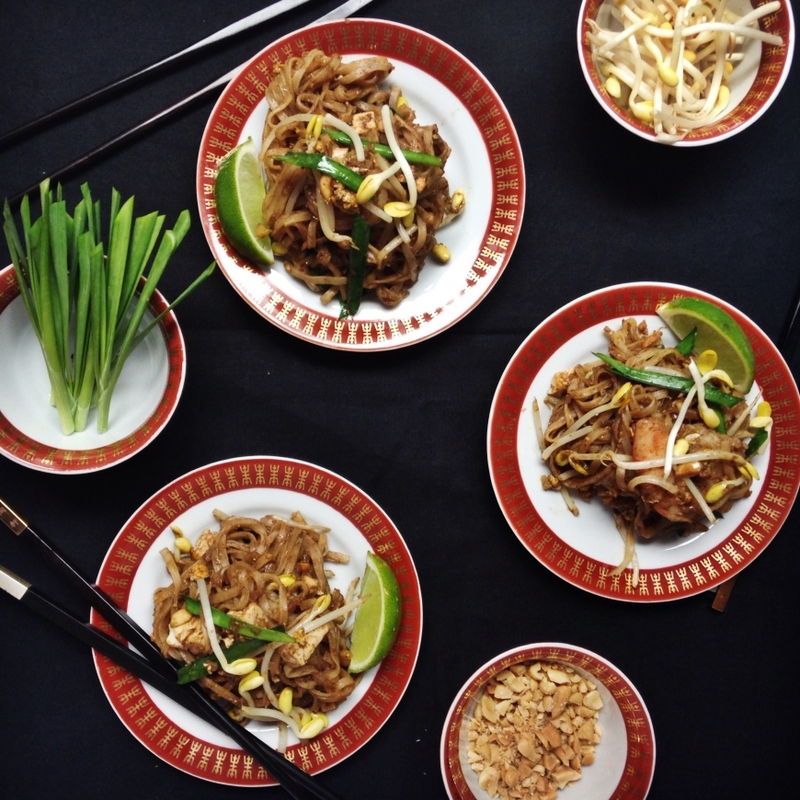 There is plenty of bad pad Thai out there – many versions are too sweet or ketchupy. A true pad Thai, however, is a thing of beauty – and can even be made at home. David Thompson could be the most famous non-Thai Thai chef in the world and I was lucky enough to visit his restaurant in Australia. His version of the stir-fried noodles bore no resemblance to any I’d tasted before. It was salty, sour and slightly sweet. Thompson’s credo is that the diner should finish the dish by adding more lime, fish sauce or chilies as they desire. The following is his recipe, adapted for the home kitchen. You will never go back to a sickly, sticky version again. Tamarind is sold in several forms. The tamarind concentrate I use for this recipe needs to be cut with double the amount warm water. Salted pickled radish is available at Asian stores in packages, but you can make your own by adding 1 tbsp salt and 2 tbsp sugar to 1 cup thinly sliced daikon radish. Leave for 4 hours, then drain and chop. Soak noodles in hot water for 15 minutes or until soft. Drain. Mix the palm sugar with tamarind liquid, vinegar, fish sauce and 2 tbsp water in a bowl, stirring until the sugar has dissolved. Set aside. Heat oil in a wok over medium heat. Fry shallots until fragrant and beginning to colour (about 3 minutes). Add shrimp and toss with shallots. Turn up heat, then add drained noodles and stir-fry for about 30 seconds. Make a well in centre of wok and add eggs. Stir around until just firm, then incorporate into the noodles. Add tamarind mixture and stir until absorbed. Stir in the tofu, salted radish and peanuts and cook, stirring, until almost dry (about 30 seconds). Add the bean sprouts and Chinese chives and stir for a moment to combine. Remove from heat. This whole process will take about 5 minutes. Check for seasoning. Pad Thai should be salty, sweet and sour. Divide between 4 plates and sprinkle with the extra Chinese chives and peanuts. Serve with lime wedges, roasted chilli powder and fresh chilies for people to add themselves.